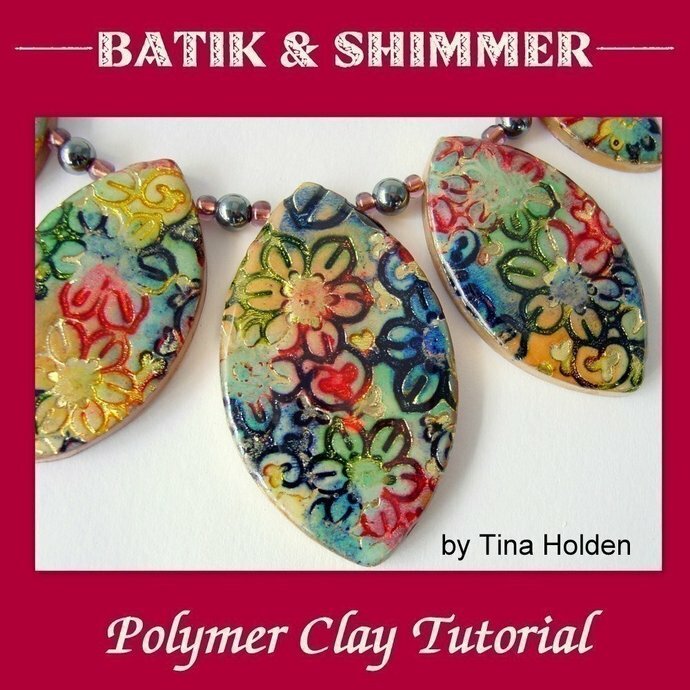 This is my 23rd polymer clay tutorial of 49 and counting. 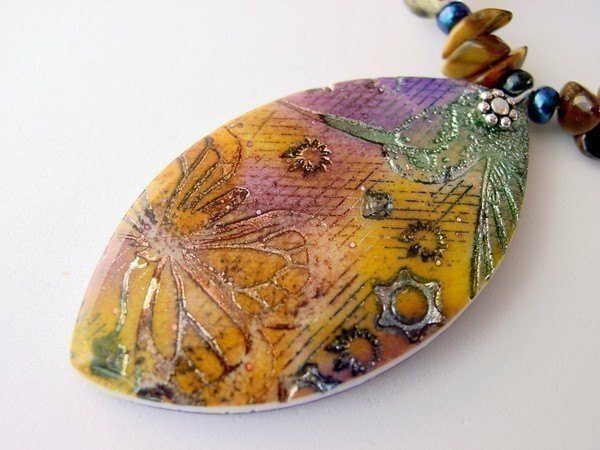 This lesson shows how to create a unique Batik and fabric-like effect on polymer clay. My technique includes variations using 2 methods of paint applications. 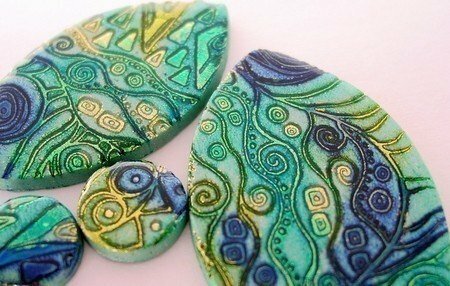 Although the end product is beautiful in itself, the polymer clay patterns and colors can then be further enhanced to an incredible depth with resin, but you could use a thin layer of translucent clay which can be sanded and buffed or use Liquid polymer clay if resin is not your thing. However, I demonstrate how to apply and dome the resin (Magic Glos), and how to easily prevent 'pull away' which is common with this type of resin. 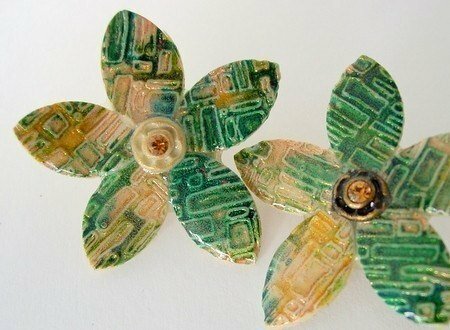 I also demonstrate how to attach a pin without glue. 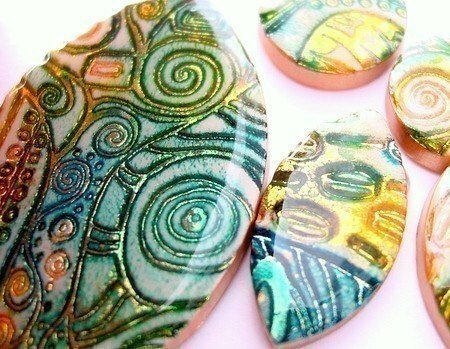 Premo Polymer clay works best for this project. The tutorial guides you through 12 pages and 27 steps and 33 photographs. If you would like some of my favorite Recipes. Please note that although I repeat some steps, all my tutorials differ from each other with additional tips and techniques and variations. There are no projects in the Recipes and I don't show how to do resin...they are just recipes with a repeat on the batik technique.